In 2011, Silvio was traveling to La Paz on a full, jostling bus when he hurt his leg on the seat in front of him. Thinking the pain would go away with time, he did not have his leg examined. But when the pain continued to increase, Silvio saw a doctor who discovered that the blood had stopped circulating in his foot. Because the infection had spread, his leg had to be amputated above the knee. When Silvio lost his leg, his whole life changed. He found every day tasks to be extremely difficult and felt very dependent on others. 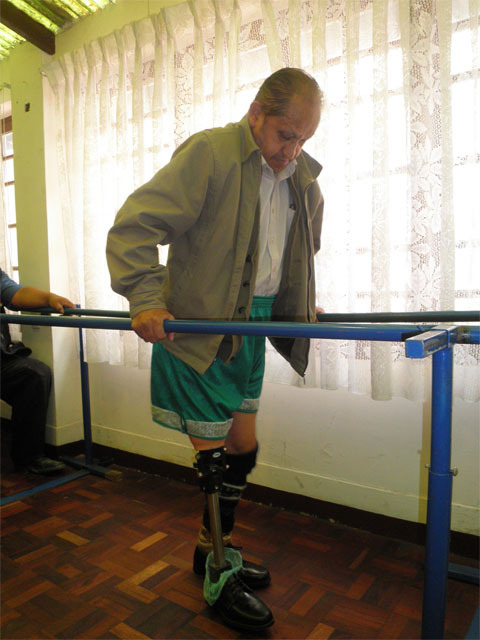 With his new LIMBS Knee, he is looking forward to walking without a walker and returning to the life he lived before the amputation.